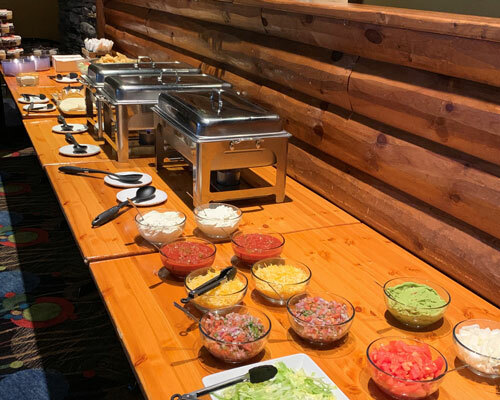 The Lodge Grill & Bar is the perfect place for a celebration! Whether you are planning a birthday party, work event or private function, the management and staff at The Lodge Grill & Bar will be happy to work with you to make your event a success. We can accommodate a wide variety of group sizes. We offer a wide variety of group menu options, we will work with you to prepare a menu for your event. To request a private event or dinner, please fill out the form and we will contact you to discuss possible options based on your ideal date, number of guests, and any special requests you may have. Let's see if your special day is available! Fill out the form to schedule your event and we'll be in touch.